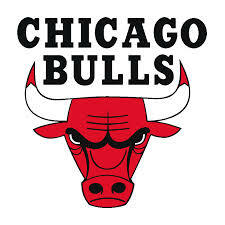 The new facility is approximately 60,000-square-feet at the northeast corner of the 3.5-acre site east of the United Center across South Wood Street between Monroe and Madison Streets. Designed with player usage in mind, the facility will allow the team to move easily between training, fitness, nutrition and therapy areas. The main level of the building includes two full-size basketball courts, updated locker rooms with therapeutic pools, video room, coaches’ offices, weight room and a designated media room. The second level contains a green roof terrace, executive offices, conference rooms and a cardio room. New building – Power, lighting, Integrated Building System and HVAC controls. 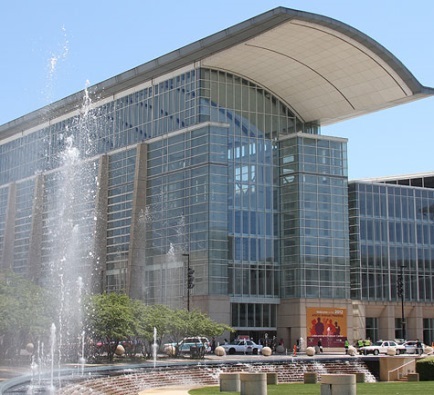 McCormick Place is the largest convention center in North America. 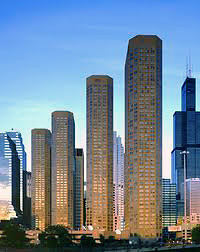 It consists of four interconnected buildings sited on and near the shore of Lake Michigan, south of downtown Chicago. McCormick Place hosts numerous trade shows and meetings. The largest regular events are the Chicago Auto Show each February, the International Home and Housewares Show each March and the National Restaurant Association Annual Show each May. Modifications to Integrated Building System and HVAC controls. Founded in 1934 as a supermarket chain, Meijer is credited with pioneering the modern supercenter concept in 1962. About half of the company’s 200 stores are located in Michigan’s Lower Peninsula, with additional locations in Illinois, Indiana, Ohio, and Kentucky. New Homer Glen and Mokena store Power, lighting, Integrated Building System and HVAC controls. 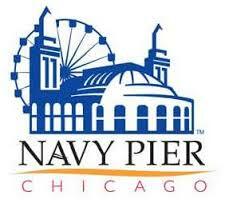 Navy Pier has been a Chicago icon and popular destination throughout much of its history. Originally named “Municipal Pier,” the pier opened to the public in 1916. The Pier was built under nationally-known architect Charles Sumner Frost based on Daniel Burnham’s “Master Plan of Chicago.” Municipal Pier was officially renamed Navy Pier in 1927 as a tribute to the Navy personnel who were housed at the Pier during World War I. Designated as a Chicago landmark in 1977, Navy Pier underwent a redevelopment in 1994 with improvements made to nearly every aspect of the Pier. Since it reopened in July 1995, Navy Pier has offered a diverse and eclectic experience and is positioned in one of the most unique settings in the world. Renovation and modifications to Power, lighting, new Integrated Building System and HVAC controls. Two-story office building and single-story warehouse building in Maywood, IL. Facility replacement, renovation and modifications to Power, lighting, new Integrated Building System and HVAC controls. In 1946 the company’s founder Erling Persson was on a trip to the United States and came up with the business idea of offering fashionable clothing at attractive prices. In 1947 he opened his first shop Västerås, Sweden “Hennes”, which exclusively sold women’s clothing. “Hennes” is Swedish and means “for her” and/or “hers”. 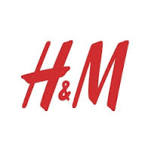 In 1968 the hunting apparel retailer Mauritz Widforss was acquired, which led to the inclusion of a menswear collection in the product range and the name change to “Hennes & Mauritz” (H&M). Chicago – State Street and Michigan Avenue locations. Renovation and modifications to Power, lighting, new Integrated Building System and HVAC controls. Millennium Park Plaza is an apartment and office building minutes from Lake Michigan and across the street from Millennium Park. Renovation and modifications to Power, lighting, new Integrated Building System and HVAC controls. Ameristar Casino Hotel East Chicago is a riverboat casino in East Chicago, Indiana, docked at Indiana Harbor on Lake Michigan. Modifications to Integrated Building System and HVAC controls. Navistar will invest up to $90 million in the 80-acre Melrose Park campus over the next several years. A portion of the campus will be dedicated to creating the next generation of commercial trucks and buses, including hybrid and electric vehicles, state-of-the-art emissions controls and the latest in diesel engine technology. The total project scope of 700,000 square feet includes new construction of approximately 40,000 square feet; renovated area of approximately 560,000 square feet; office, entry and museum of areas of approximately 100,000 square feet; and site development of approximately 38 acres. Navistar is renovating and expanding the facility while the plant maintains the ability to manufacture engines. New Integrated Building System and HVAC controls for new facility with modifications to the existing Integrated Building System. The Hotel 71 has completed a $20 million top-to-bottom upgrade that integrates high-end design and luxury amenities. The renovation of the boutique luxury hotel extends to the lobby, guestrooms, fitness center and meeting spaces with modifications to Power, Lighting, new Integrated Building System and HVAC controls. In The Dark Knight, the 2008 Batman film starring Christian Bale, Bruce Wayne’s hideaway is in fact the 39th floor of Chicago’s Hotel 71, which is where the bedroom of Wayne’s penthouse was filmed. The 39-story hotel was originally built as a residential building, and Hotel 71 also makes an appearance in Transformers 3. The Lakeside Technology Center (350 East Cermak) is a 1.1 million square foot multi-tenant data center hub owned by Digital Realty Trust. Originally developed by the R.R. Donnelley Co. to house the printing presses for the Yellow Book and Sears Catalog, 350 East Cermak was converted to telecom use in 1999, and today it is one of the world’s largest carrier hotels and the nerve center for Chicago’s commodity markets, housing data centers for financial firms attracted by the wealth of peering and connectivity providers among the 70 tenants. 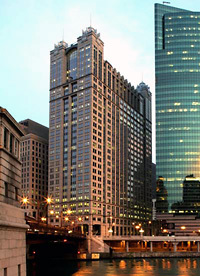 Current major tenants of the building include the Chicago Mercantile Exchange, Telx, Equinix, and Qwest. Renovation and modifications to Power, lighting, HVAC equipment controls and Integrated Building System retrofit. Owned by 225 West Wacker Acquisition Company and managed by Jones Lang LaSalle. The building was recently awarded LEED EB Gold certification by the U.S. Green Building Council after complete renovation and modifications to Power, Lighting, HVAC equipment controls and new Integrated Building System retrofit. Kaplan Higher Education occupies three floors in the 31-story facility, equaling approximately 77,000 square feet. Recycled materials were used during renovation of the building, which has been retrofitted with energy-efficient upgrades that include a geothermal system, renewable energy technology, including solar thermal panels, water conserving appliances and fixtures and a green roof covering 75 percent of the roof. New Integrated Building System and HVAC controls. 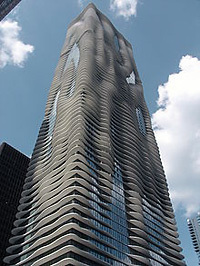 Aqua is an 86-story mixed-use residential skyscraper in the Lakeshore East development in downtown Chicago. Designed by a team led by Jeanne Gang of Studio Gang Architects, the building is the tallest in the world to have a woman as lead architect, at 859 feet. The Aqua was named the Emporis Skyscraper Award 2009 skyscraper of the year and was shortlisted in 2010 for the biannual International High-rise Award. Sustainability was an important factor in Aqua’s design. Gang and her team refined the terrace extensions to maximize solar shading, and other sustainable features will include rainwater collection systems and energy-efficient lighting. The green roof on top of the tower base is the largest in Chicago. The tower will seek LEED certification. New Integrated Building System and HVAC controls. 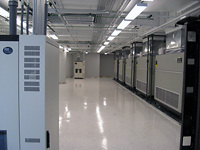 Mission critical systems for Sprint Communications Data Center located outside of Chicago city limits. Renovation and modifications to power, lighting, HVAC equipment controls and Integrated Building System retrofit. Completed in 1895, is a Chicago, Illinois landmark that was built by the George A. Fuller Company and designed by architects Holabird & Roche. The building is currently owned by the John D. and Catherine T. MacArthur Foundation. The building was one of the early steel frame skyscrapers of its day, and is considered one of the best examples of the Chicago School of architecture. 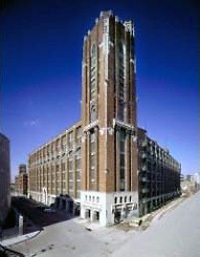 The building originally had a reddish, terra cotta exterior that is now somewhat blackened due to decades of Loop soot. It is noted both for its then cutting edge frame and its ornate interior. 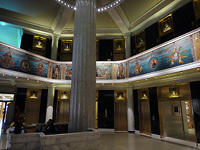 The mezzanine glass mosaic illustrating events in the Midwestern journeys of Father Marquette was created by the famed Tiffany Glass and Decorating Company and designed and supervised by its chief mosaicist J. A. Holzer. Since being built, the building has received numerous awards and honors. It was designated a Chicago Landmark on June 9, 1975, and it is considered an architectural masterpiece. It was added to the National Register of Historic Places on August 17, 1973. It was a named a National Historic Landmark on January 7, 1976. 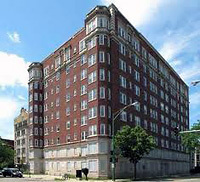 The building’s preservation has been a major focus of the Landmarks Preservation Council of Illinois. Renovation and modifications to HVAC equipment controls and Integrated Building System retrofit. 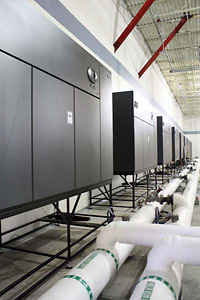 Mission critical systems for HSBC Data Center located outside of Chicago city limits. Headquartered in London, HSBC is one of the largest banking and financial services organizations in the world. Modifications to Integrated Building System and HVAC equipment controls. Mission critical systems for WMS Gaming Data Center located outside of Chicago city limits. New addition HVAC equipment controls and Integrated Building System. WMS has been a leading innovator of electronic game entertainment for more than 60 years. With focus on Player Driven Innovation they combine advanced, groundbreaking technologies with engaging game content and product executions to create products that transform the player entertainment experience and elevate the casino operator’s return on investment. The Kingsbury Plaza Apartments is a 46-story building that has 420 luxurious units in total. It’s designed by Solomon Cordwell Buenz & Associates, a Chicago based company. The company mission of Solomon Cordwell Buenz & Associates is to create the perfect environment for people to work in, an environment so special, that will stimulate everyone in it to perform better and live better. A lot of innovations in the design and technology can be observed at Kingsbury Plaza. New Integrated Building System and HVAC controls. Complete renovation of 2775 Shermer Road building in Northbrook, IL, now their corporate headquarters. New Power, Lighting, Integrated Building System and HVAC controls. 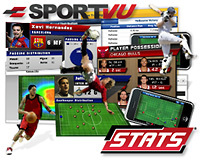 STATS’ innovative sports information solutions provides real-time scores, historical sports information, and editorial content direct from proprietary databases to a vast array of clients across the globe that are utilized by leading companies in numerous business segments – including professional teams, leagues and federations; sports broadcast production; cable and satellite networks; interactive television; broadband, wireless and internet; game developers and fantasy sports providers; print media and wire services. 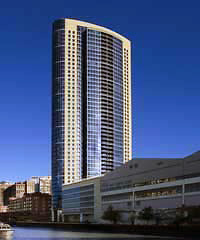 Presidential Towers is in the heart of the city’s financial district. The story behind the Presidential Towers is not strictly about architecture. Instead, the four buildings tell a typical tale of Chicago politics — in the 1960’s the city demolished six blocks of low-income housing and single room occupancy hotels along Madison Street. 7,000 people were left without a home, to make room for five 90-story office towers that were never built. The land stood empty for years. Twenty years later, in 1986, came four 49-story luxury apartment buildings – one just like the other – called the Presidential Towers. Renovation and modifications to power, lighting, HVAC equipment controls and Integrated Building System retrofit. Aimco is one of the largest owners and operators of apartment communities in the United States, with approximately 520 communities serving 250,000 residents in 36 states, the District of Columbia and Puerto Rico. As part of a central plant project, the boilers and chillers were replaced with more efficient models. Some of the central plant projects also include the installation of direct digital controls. The control systems optimize the performance of the boilers, chillers, pumps, AC unit and fans for increased system efficiency and are continually monitored via the Web. Renovation and modifications to HVAC equipment controls and Integrated Building System retrofit. 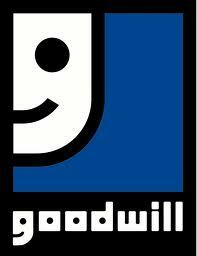 A new 21,000 square-foot Goodwill retail store and donation center is now open in Lemont. Goodwill stores sell donated items such as clothing and accessories and more. More than 40 workers have been hired to staff the Lemont location. New Integrated Building System and HVAC controls for facility. Diageo is the world’s leading premium drinks business with an outstanding collection of beverage alcohol brands across spirits, beer and wine. These brands include Johnnie Walker, Crown Royal, J&B, Windsor, Buchanan’s and Bushmills whiskies, Smirnoff, Ciroc and Ketel One vodkas, Baileys, Captain Morgan, Jose Cuervo, Tanqueray and Guinness. New Integrated Building System and HVAC controls for new facility with modifications to the existing Integrated Building System. 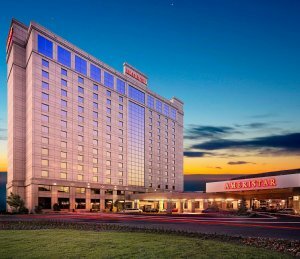 Complete renovation of all existing guest space and an additional 6,400 square-foot O’Hare Ballroom. Cutting edge technology lobby where guests find flexible and modern space to use with new modular workspaces. Renovation and modifications to HVAC equipment controls and Integrated Building System retrofit. Magellan Development Group has established a reputation as a prolific and accomplished developer. The company’s focus has been high-rise residential and mixed-use projects. Magellan Development Group has successfully financed more than $2.5 billion of residential, mixed-use, and commercial projects. Magellan and its affiliates have designed and developed a wide variety of other projects including commercial, institutional, government, educational, hospital and transportation projects. Corporate headquarters new Integrated Building System and HVAC controls.